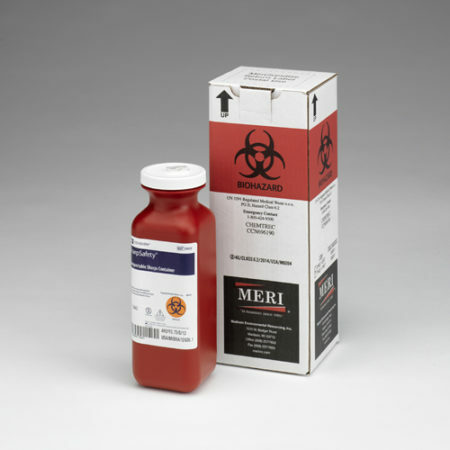 Have your sharps and infectious waste incinerated in a compliant and cost-effective way using MERI’s 1 Gallon Medical Waste Disposal By Incineration Mailback Containers (Qty 2). Used by field researchers, wildlife disease specialists and lab scientists to dispose infectious material that must be destroyed by incineration. This mailback kit is DOT and USPS certified. And, it documents the cradle-to-grave destruction of your biohazard materials. Best of all, it features everything for one purchase price. A manifest noting proper destruction of your incinerated regulated medical waste. When ordering, please allow one to two business days for delivery. When you receive it, please STOP and read the instruction card when you open the mailback kit. Before sending your full biohazard containers back to MERI Inc., be sure to sign the manifest located on the side of the shipping box. And, please note that return shipping must be done through the United States Postal Service. 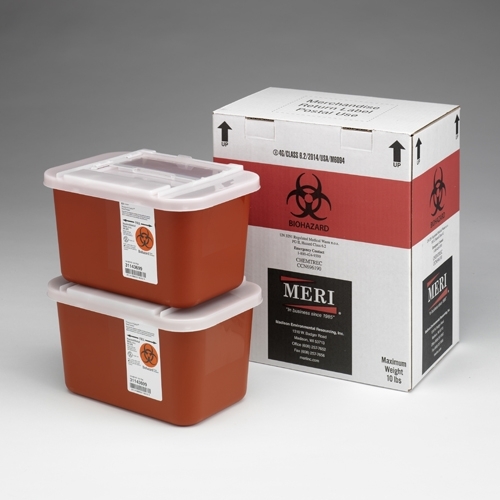 If needed, order another MERI mailback kit before returning yours so that you can always have a safe place to store your biohazard materials. 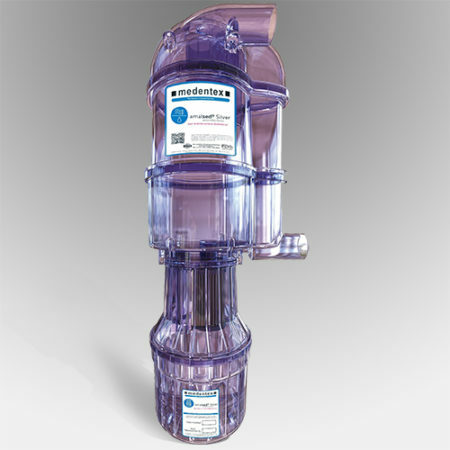 These 1 Gallon Medical Waste Disposal By Incineration Mailback Containers (Qty 2) safely destroy and document infectious waste removal. Used by field researchers, wildlife disease specialists and lab scientists to dispose infectious material that must be destroyed by incineration. This mailback kit features everything for one purchase price. 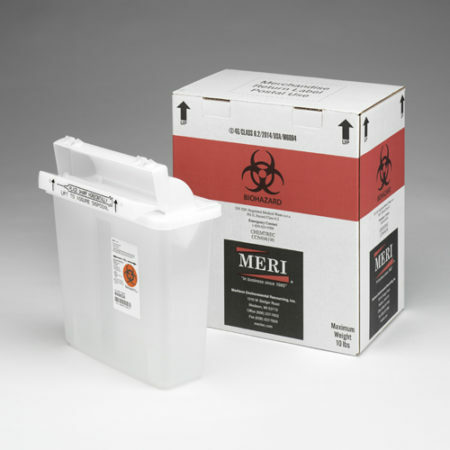 MERI’s mailback kits are a cost-effective way and compliant way for biotech scientists to remove infectious waste for incineration. In addition, DNR field researchers find them a handy way to dispose small quantities of sharps or other infectious waste for incineration. These 1 Gallon Medical Waste Disposal By Incineration Mailback Containers are often used in lieu of a medical waste collection service. That is because they are a convenient way for scientists, researchers and wildlife specialists to destroy material containing blood borne pathogens after completing lab or field work. When the biohazard container is full, simply follow the instruction card to repackage the material in the postage-paid shipping box. Then, give it to your US Postal office or carrier. It will then go to our licensed incineration facility. What can go inside MERI’s 1 Gallon Medical Waste Disposal Mailback Container? This rigid, USPS and DOT certified biohazard container holds: sharps, needles, syringes, auto injectors, scalpel blades, pipettes, and discarded glass or rigid vials containing infectious agents. When ordering a MERI Inc.’s Medical Waste Disposal Mailback Container, please allow one to two business days for delivery. Also, please STOP and read the instruction card when you receive your containers. Before sending your full biohazard container back to MERI Inc., be sure to confirm the address on the sign the manifest located on the side of the shipping box. In addition, please give your postage-paid box to your United States Postal Service carrier. If needed, order another MERI mailback kit before returning yours so that you can always have a safe place to store your biohazard materials.